I've been playing around the last few weeks with ACID Studio and finally got around to uploading some new songs. First up is a short song called Headlong. Although the genre is Electronica it is probably more Rock given the guitars and drums. The second song is Augmented and definitely fits the Electronica genre better with its funky synthesizer loops. It is also a much longer song than the last few. In addition to new songs, I've been playing around some more with LDD. 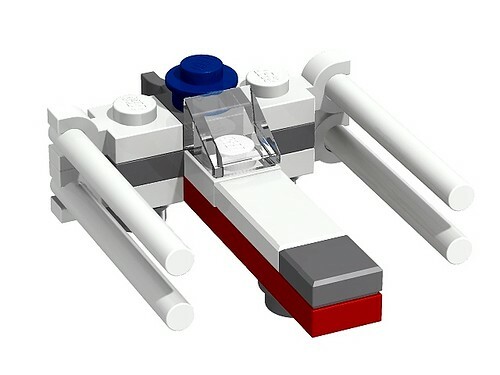 I thought it might be fun trying to reproduce MacLane's very nice Micro X-Wing design. Unfortunately, not all the pieces/colors were available. As a result, my version is similar in spirit if not content.